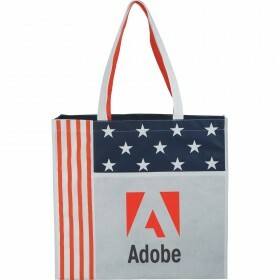 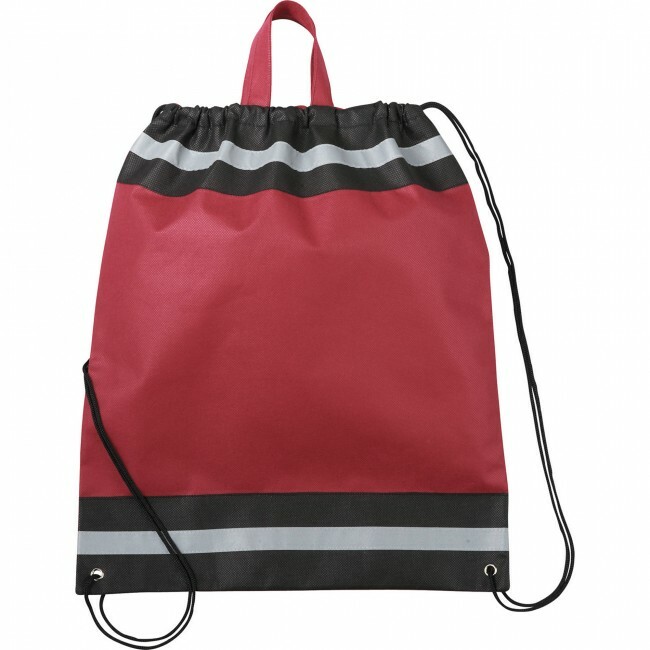 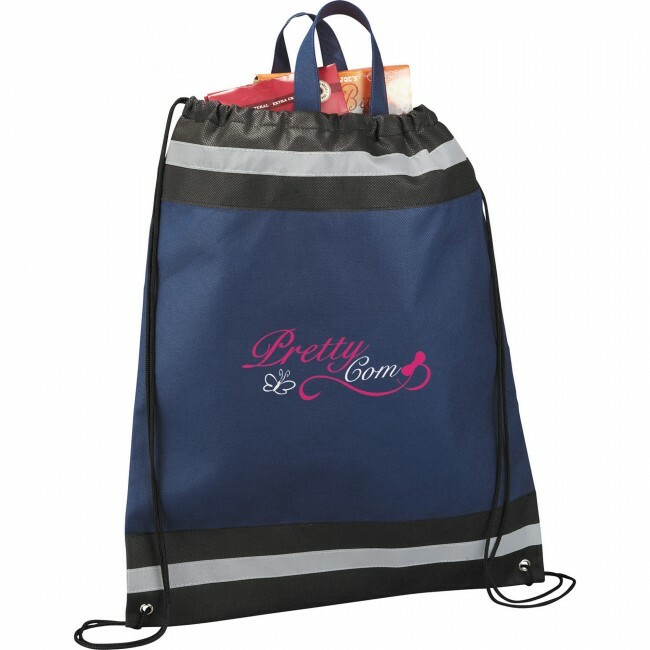 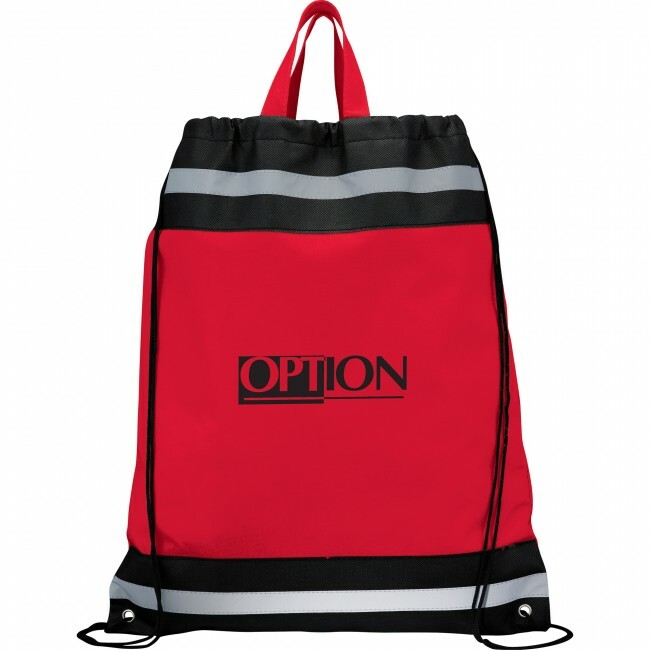 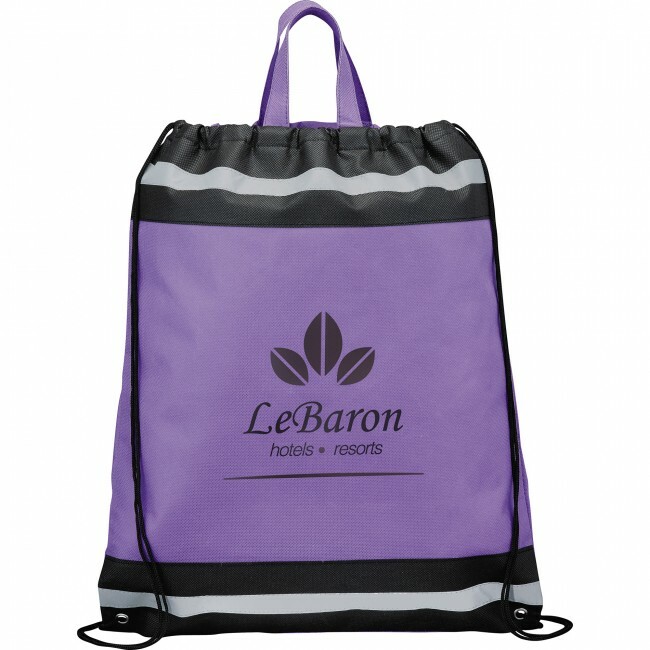 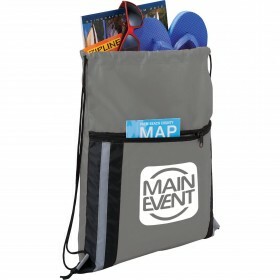 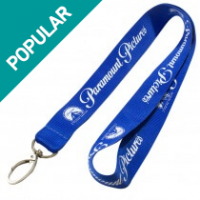 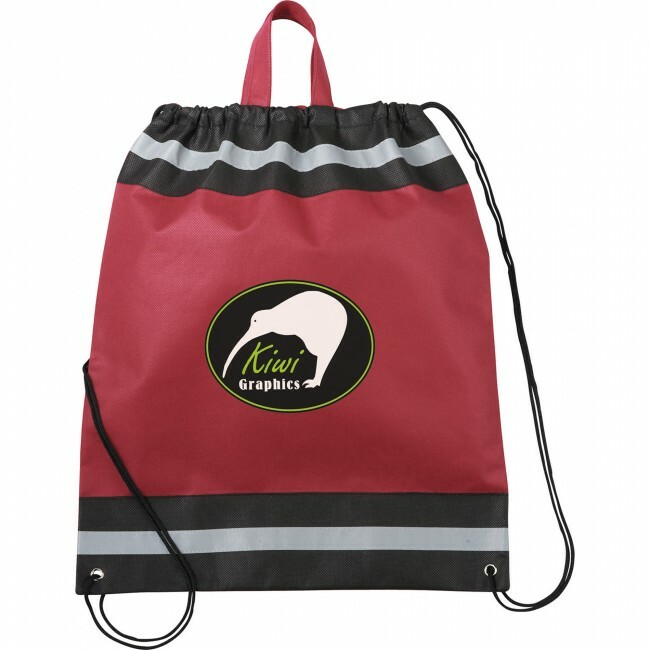 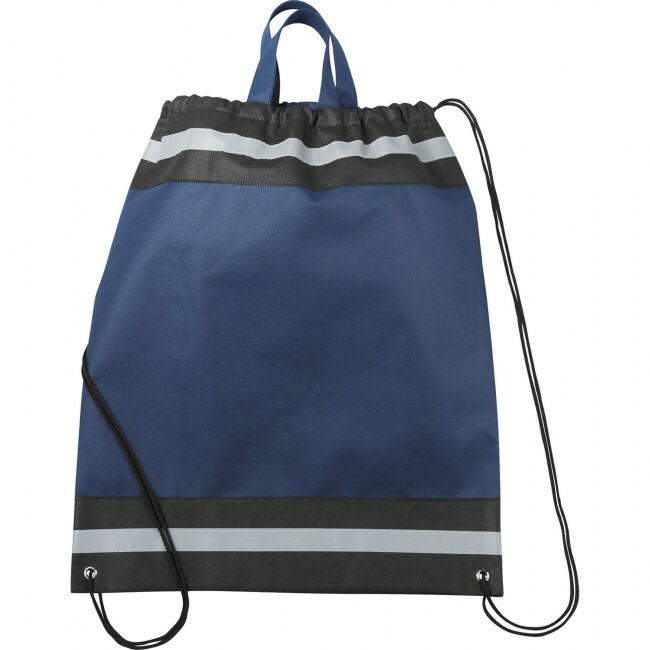 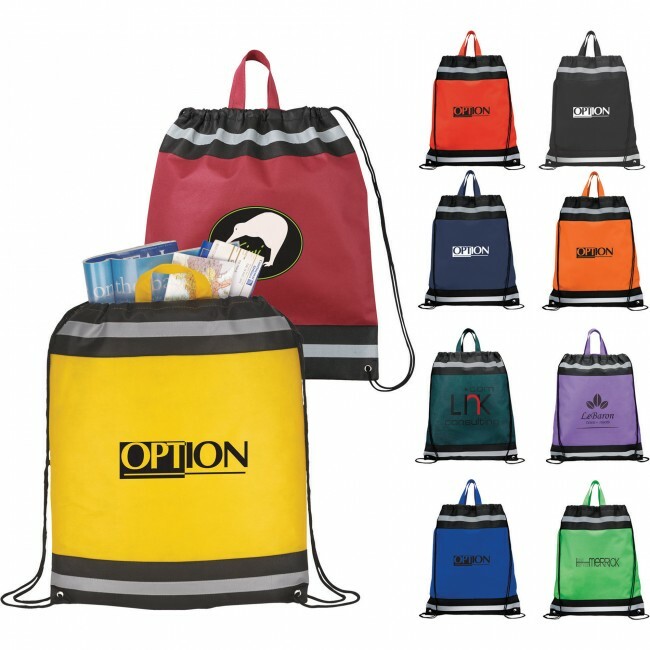 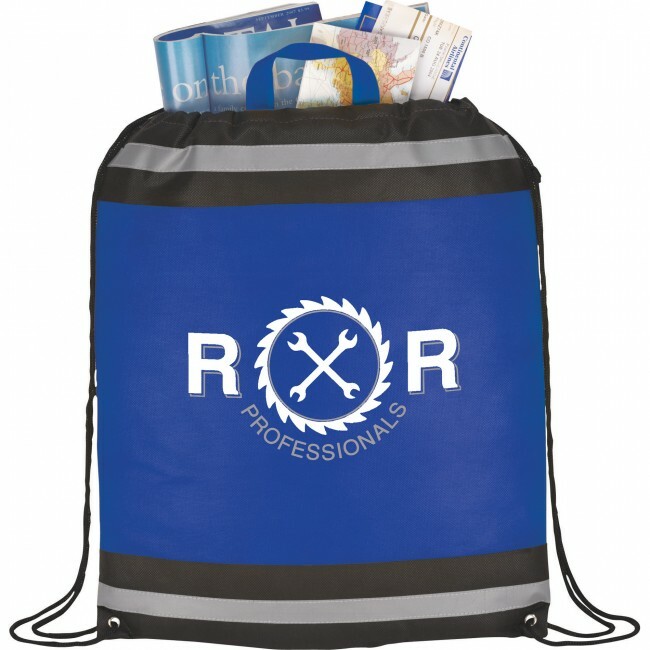 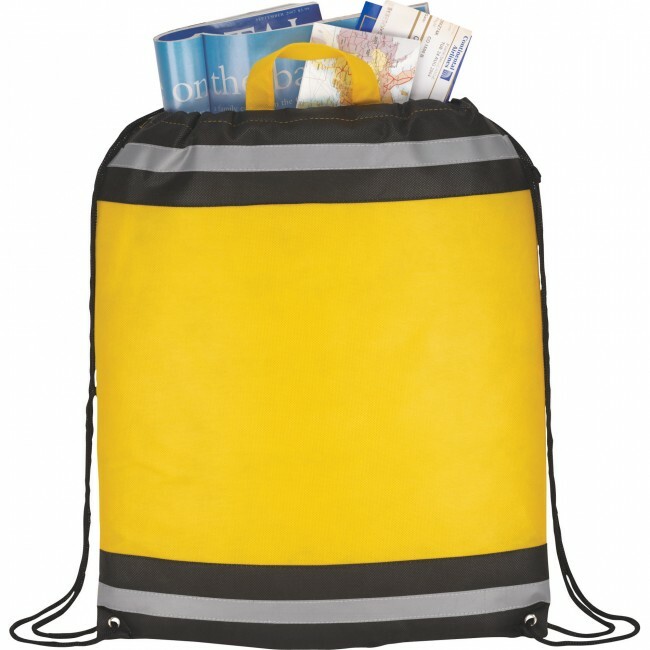 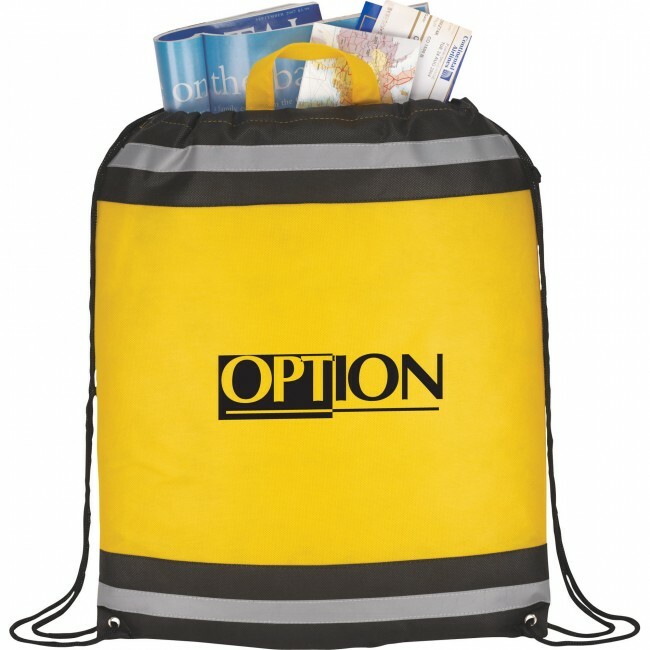 The Eagle Non-Woven Drawstring Bag features an open main compartment with a cinching rope closure, stylish reflective stripes and a convenient carry handle. Black, Blue, Burgundy, Lime Green, Navy Blue, Orange, Purple, Red, Yellow. 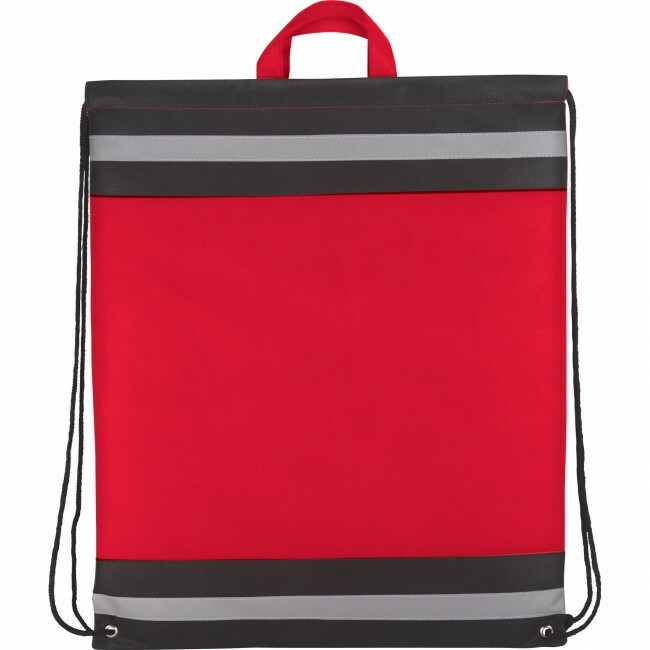 Lightweight backpack that is athletic and casual. Reflective stripes for increased visibility at night. 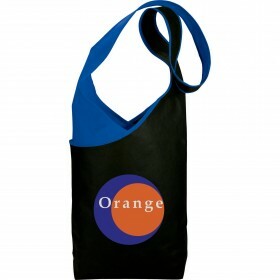 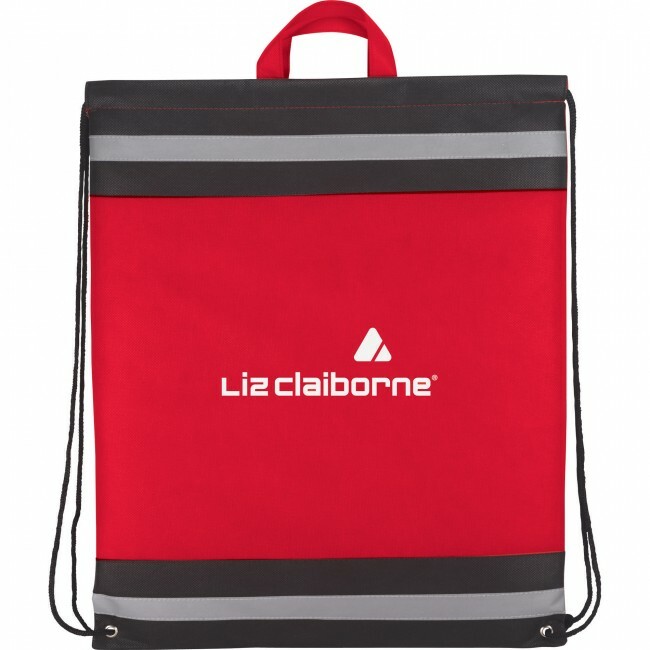 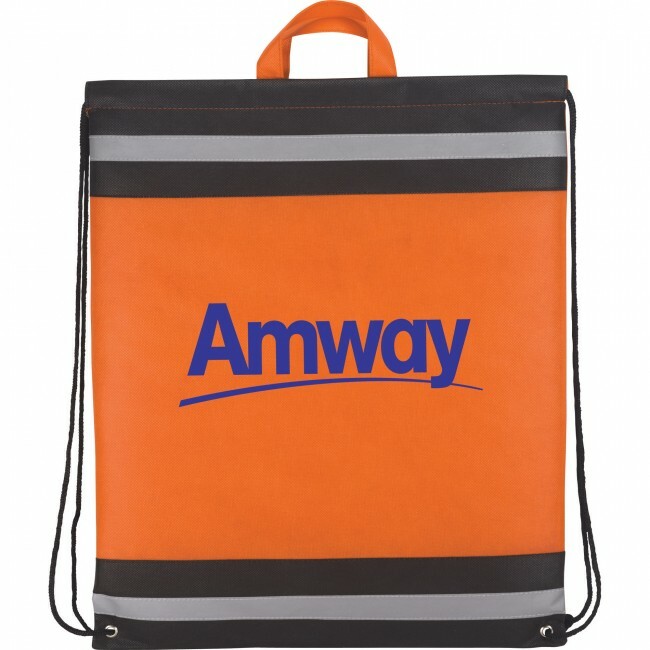 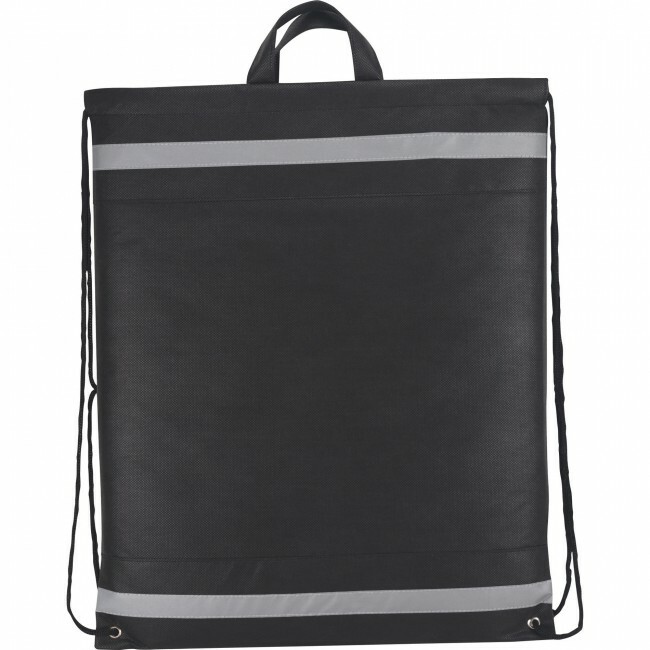 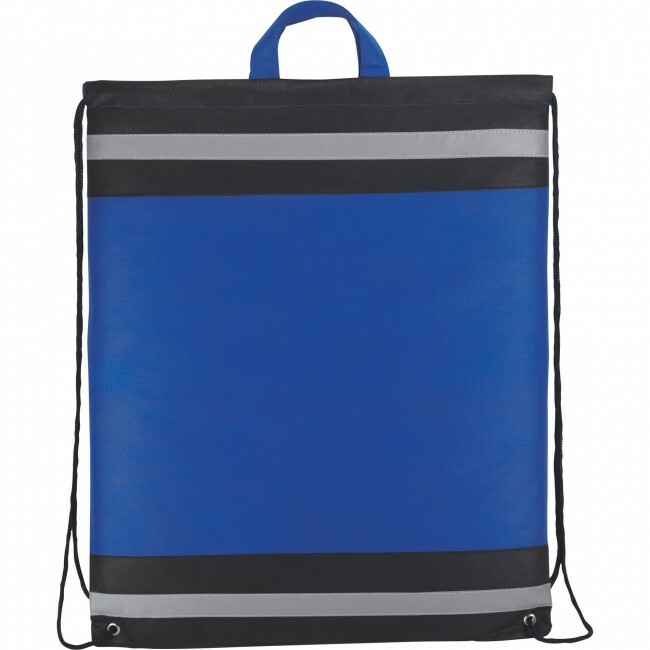 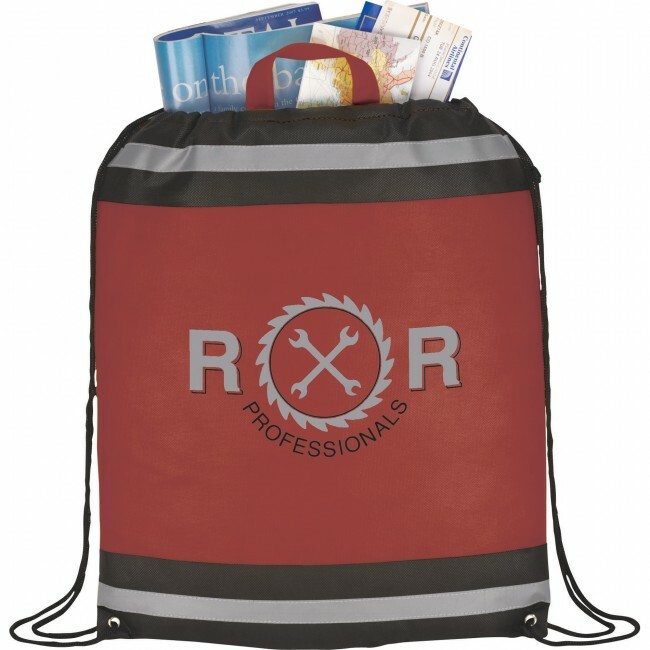 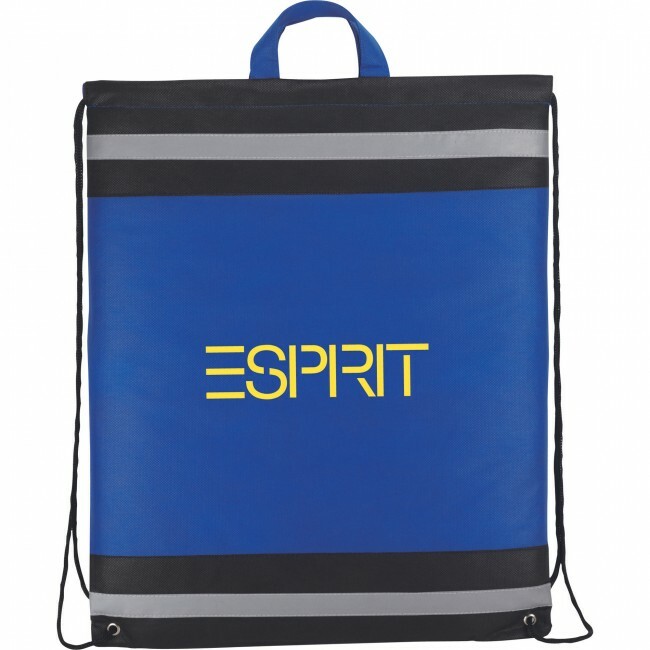 Quality sports backpack available for you to screen print your business logo. 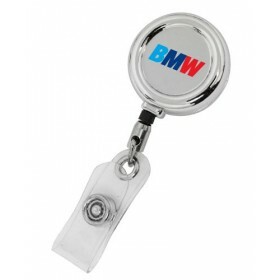 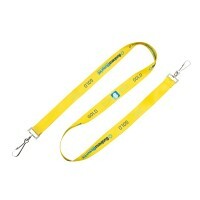 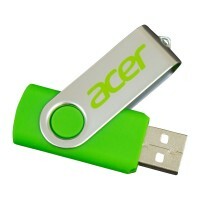 Choose from 9 vibrant colors to show your style. Versatile bag made out of durable materials.